Dr. David Katzman founded DAK Associates, a personalized medical practice, in answer to his patients’ increasing need for more time with their physician. Dr. Jennifer DeLaney, a board-certified Internist, opened her personal medical practice in 2006 in response to her desire to spend more time with her patients. She joined Dr. David Katzman in an office where they limit the size of the practice to assure timely and comprehensive care. Being the type of doctor you deserve takes time: Time to listen, time to ask questions and explain, time to think about problems, time to return phone calls promptly, time to relay test results personally, and time to be there for you and your family when needed. Our health care system is making it increasingly difficult for physicians to provide this truly personalized care and service. In today's insurance-driven medical environment, personalized medicine is available to only a few very "important" people-celebrities, the ultra-wealthy, and politicians. By limiting our practices to typically one-tenth the size of most medical offices, we are able to provide thoughtful, caring medical attention in a comfortable, private, and unhurried setting. You will have time and unprecedented access to us as we serve as your personal physicians. 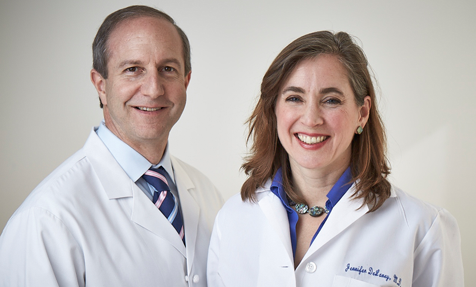 As your personal physicians, our primary focus is on preventative medicine and wellness. 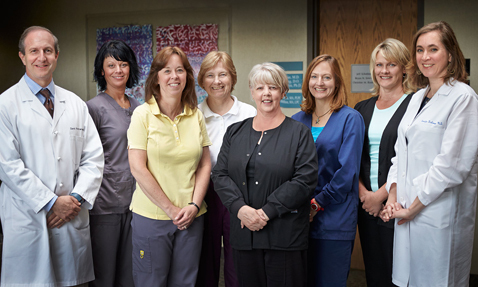 We are both board-certified Internists with strong ties to specialists at the top St. Louis hospitals. We are capable of handling most medical issues and have the time and interest to serve as your advocate in navigating our complex health care system.